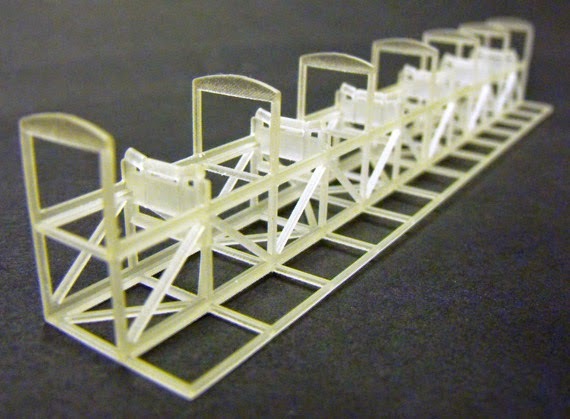 This OO Gauge (1/76th Scale) conveyor section is 194mm long, 27mm wide and 30mm tall. The model is typical of aggregate conveyors found in quarries, etc and features static idler and return rollers plus supports for a side walkway and canopy. 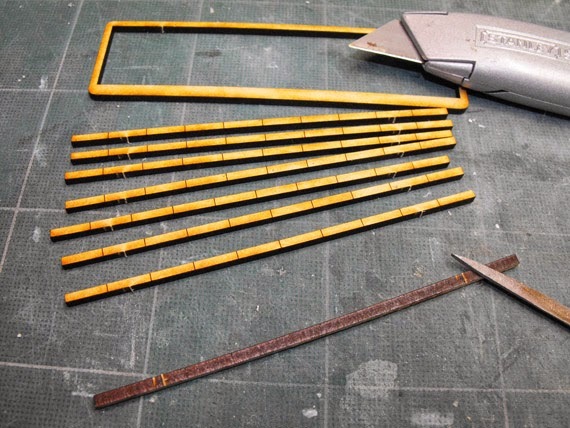 Order multiple sections and glue them together to create a longer conveyor. 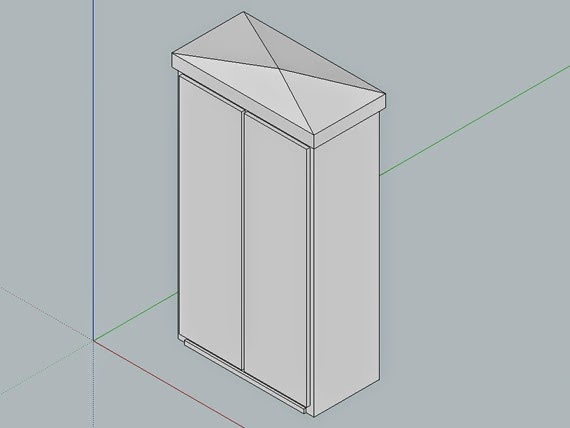 One project we are working on is a set of modern location cabinets. 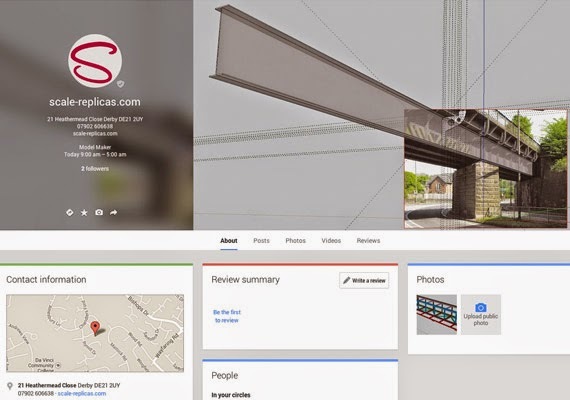 This is a 'work in progress' screen shot from Sketchup. Still more detail to add yet. Back in mid June we mentioned, in our post Work in progress, that we were developing a mini version of our Bottle Stand. 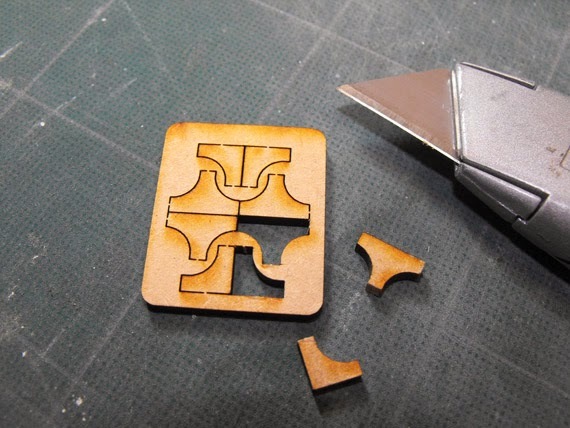 They are cut from 3mm laser grade plywood. 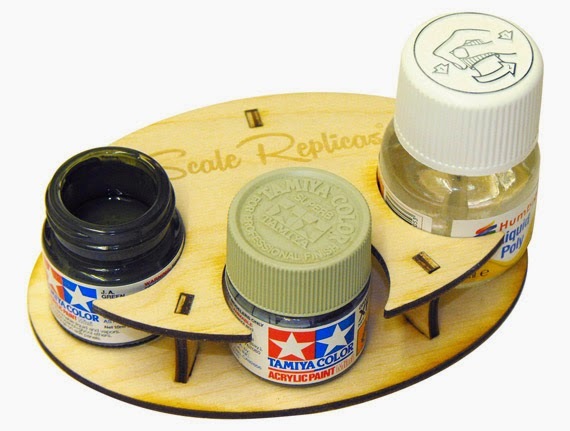 We will be offering them with alternative diameter holes to accommodate paint ranges like Tamiya, Humbrol, etc. 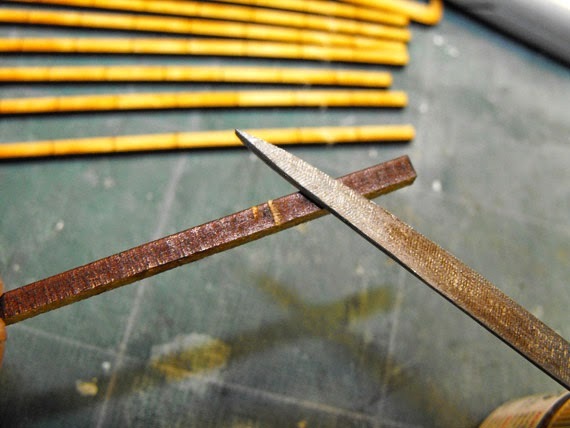 Having cut all the straight sections from the fret the next thing to do is clean them up with a needle file. 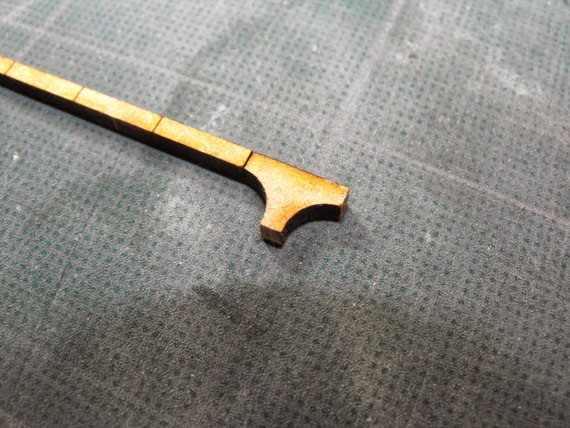 This is just to remove the burr where the pieces were attached to the fret. With that done, we suggest fixing them to a suitable piece of wood with double sided tape, to make spray painting easier. 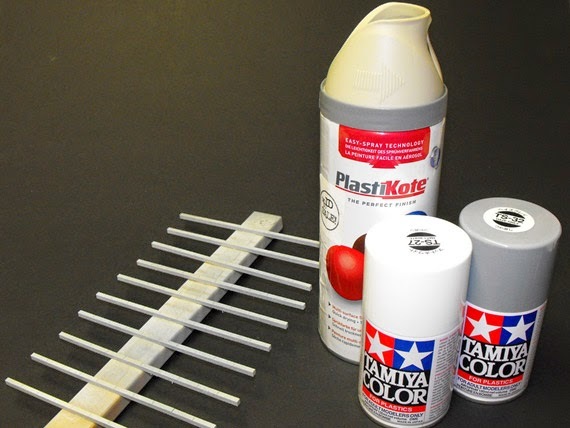 Spray painting will give a superior finish and retain the etched section lines. Off course you can always use your own preferred method of painting instead. If sections do need to be shortened this is easily done with a razor saw. 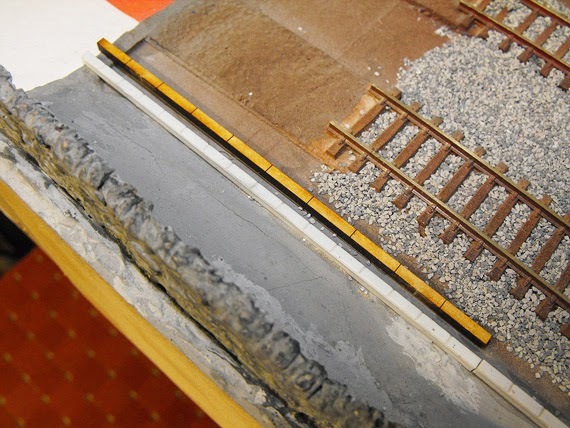 Once prepared, the sections of cable trough can be fixed into place on your layout with an application of PVA glue. A common sight alongside the modern railway line is the humble concrete cable trough. 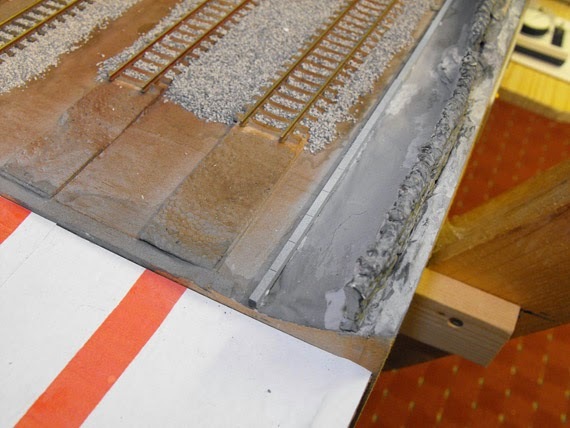 Although these are already available as plastic kits from other manufacturers, they represent the older ‘Imperial’ dimensions, where modern concrete trunking sections are usually produced in 1 metre lengths. 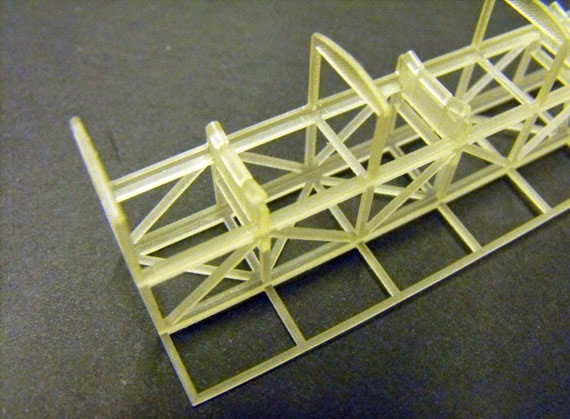 The Scale-Replicas.com range of cable troughs are 1/76th scale representations of metric concrete trunking, to suit the OO Gauge 'Modern Image' model railway. 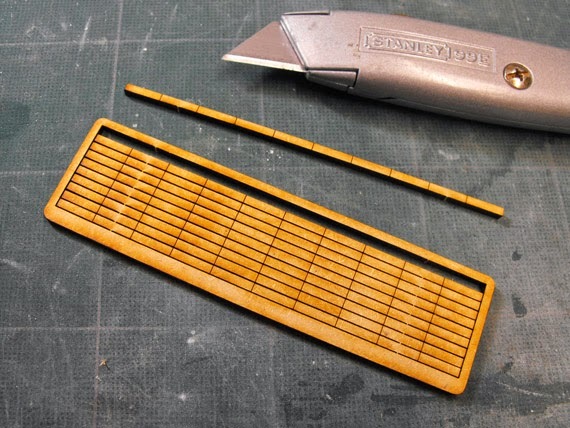 They are laser cut from 3mm thick MDF and are available as a fret of straight sections and a fret of corner sections. 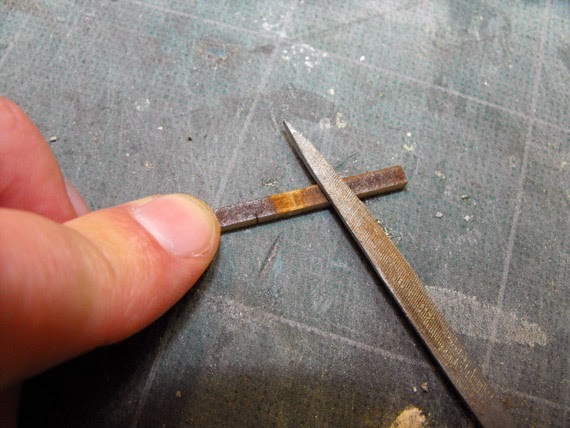 The straight sections are easily cut from the fret with a sturdy Stanley knife, or similar. 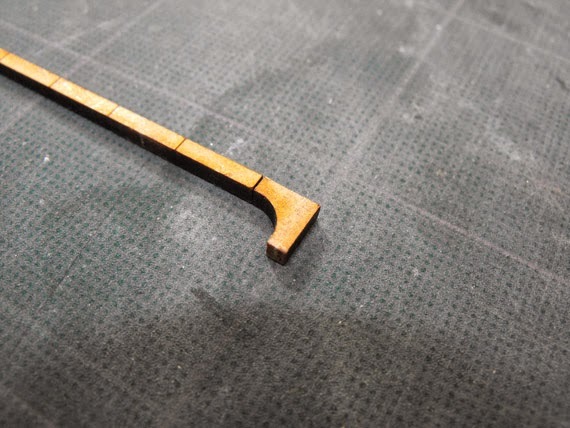 The corner sections are similarly separated from the fret. 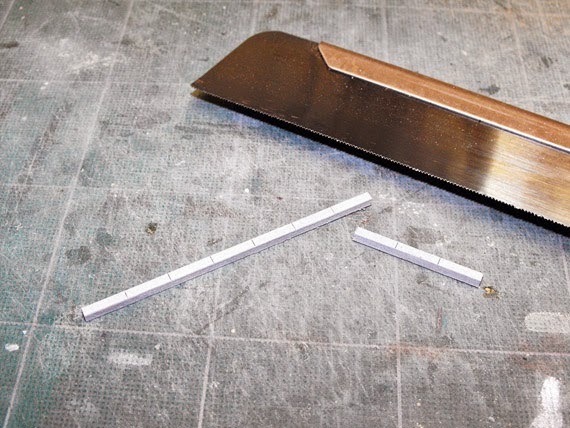 The corner sections can be used to form right angle and T-junctions. In the photo above you can see one of our straight sections compared to a plastic representation of the imperial equivalent. The 1m scale sections are much longer than their Imperial counterpart. Whilst we are putting the finishing touches to the Scale Replicas online shop, (who knew there would be so many 'I's to dot and 'T's to cross) I can take the opportunity to mention some of the ideas we are working on. Today, I'm going to introduce you to the 'Mini Bottle Stand' (as seen above). 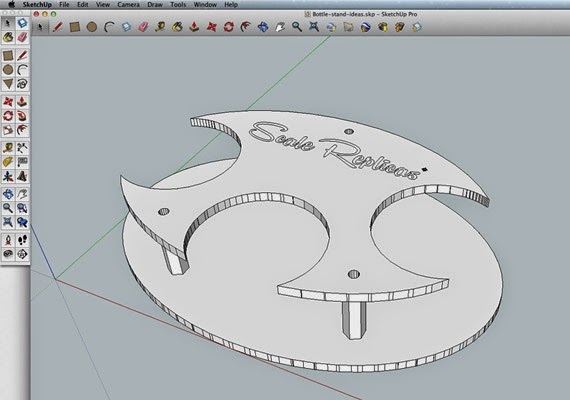 This is a view of it taking shape in SketchUp. 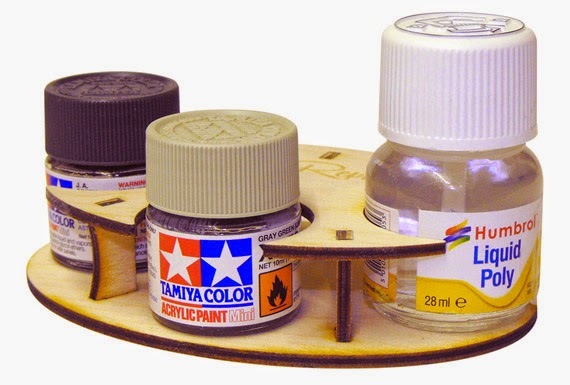 This bottle/tin stand, and it's big brother, are intended to help avoid accidental spillage of paints and glues. The 'Mini' is designed to have a smaller footprint and so take up less space on your workbench. Unlike the regular bottle stand we offer, the 'Mini' is a stand alone item and is not designed to stack.